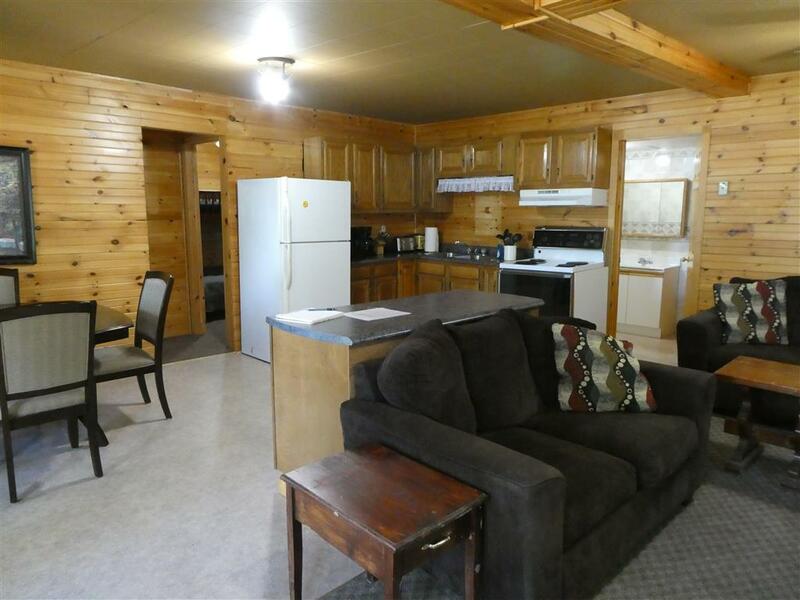 All of our cottages are like houses. 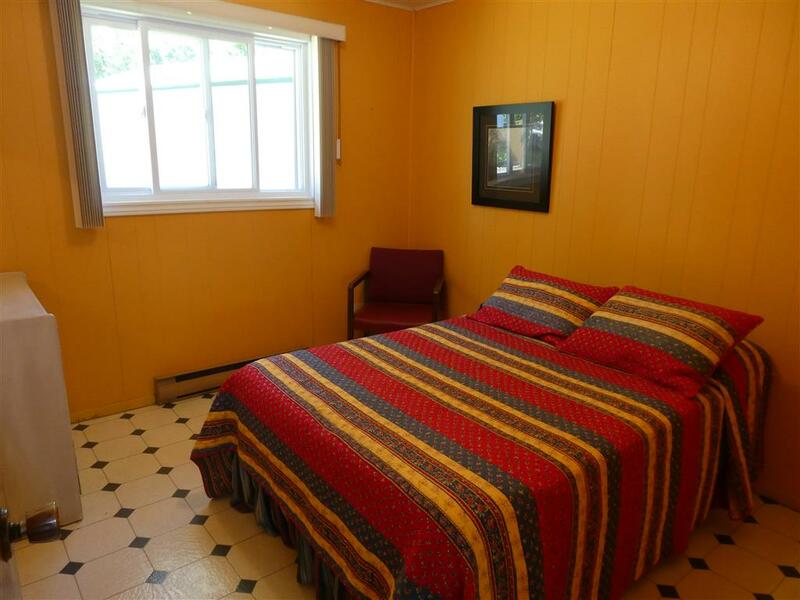 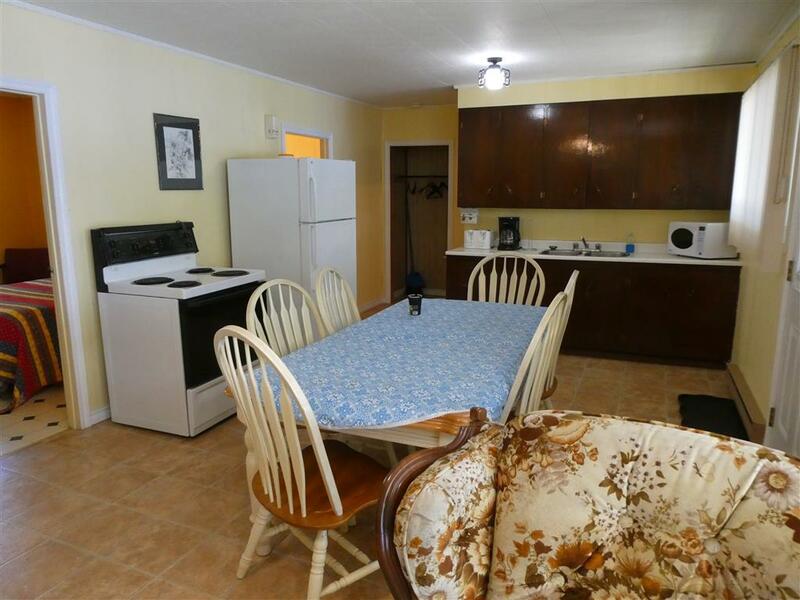 All cottages include microwaves, toasters, coffee machines, kettles, dishes and cutlery and stand up fan. 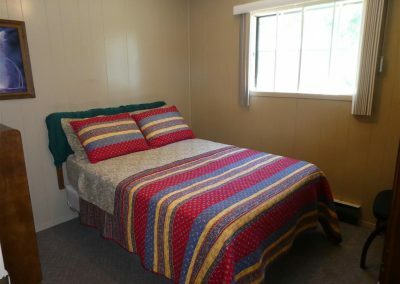 All bed linens are supplied. 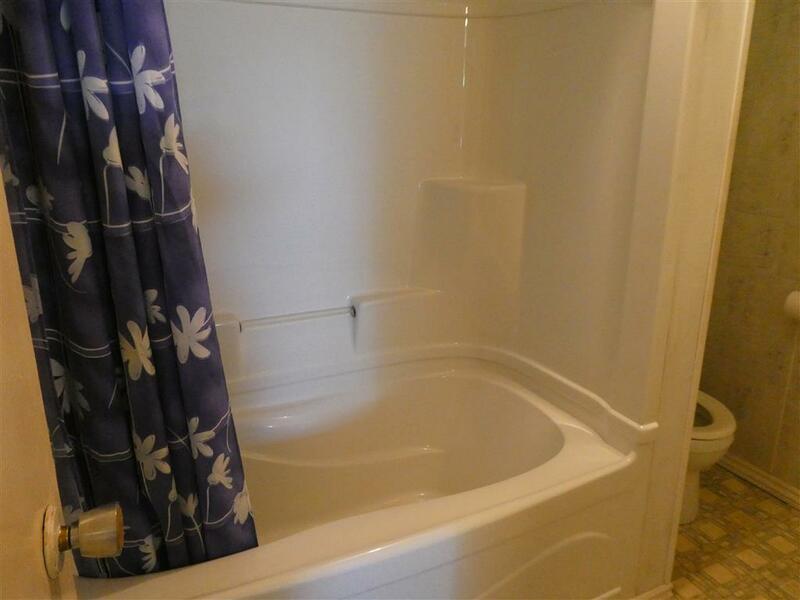 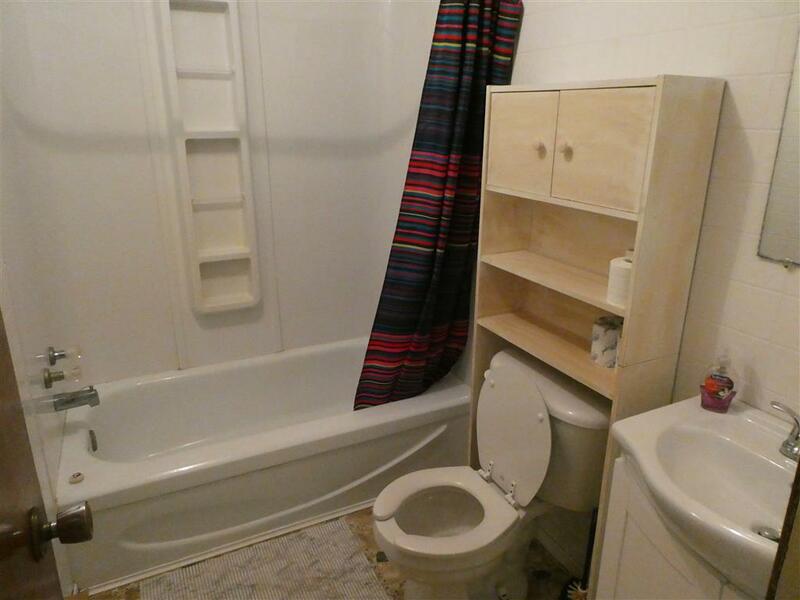 Bath towels, dish towels, dish cloths and garbage bags are not included. 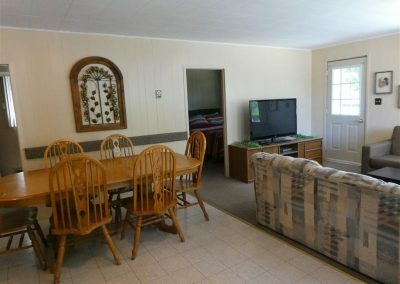 Cottage 1 has satellite T.V. 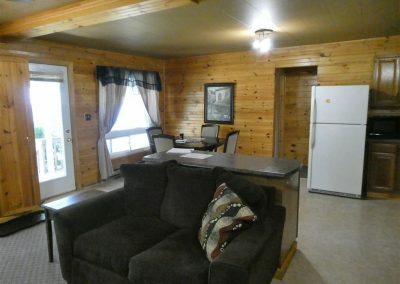 and wireless internet. 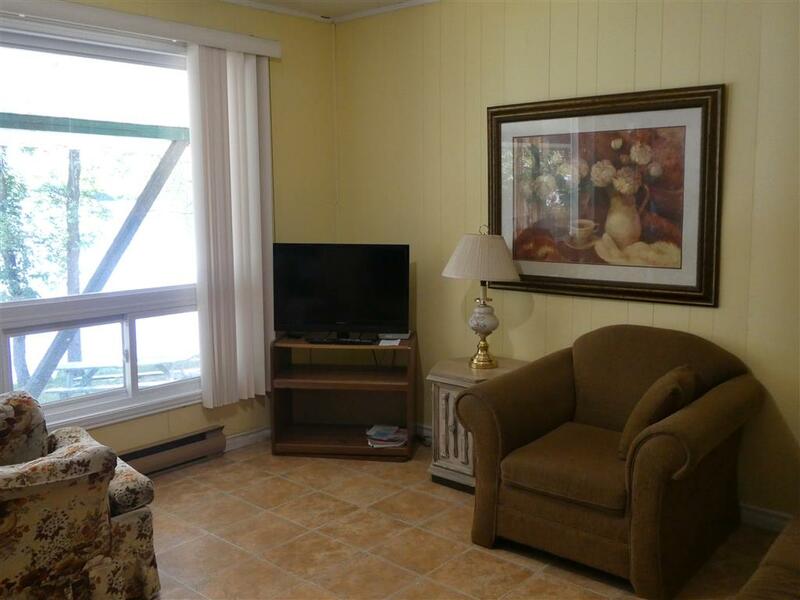 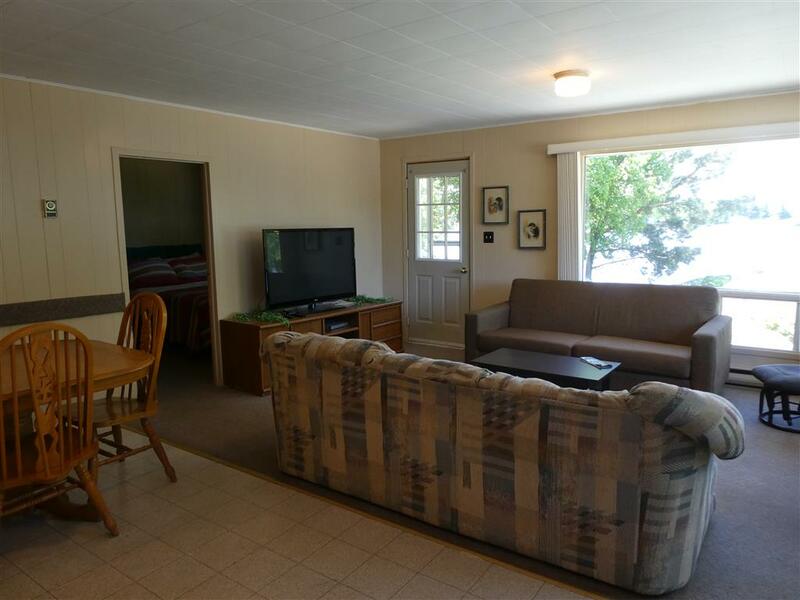 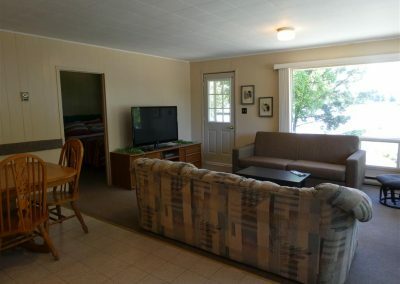 Cottages 2-5 have Roku boxes and wireless internet. 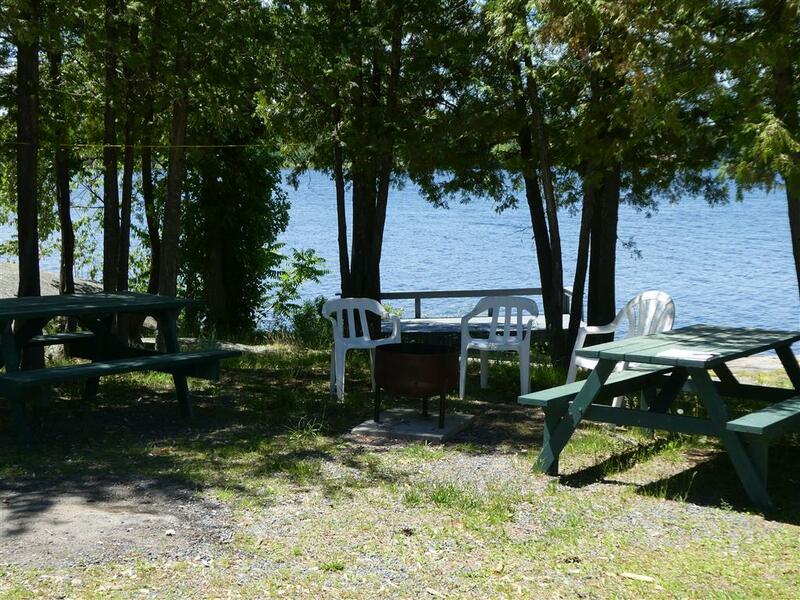 Barbeques with 1 tank of propane, outdoor picnic tables and fire pits with 1 load of wood are also included. 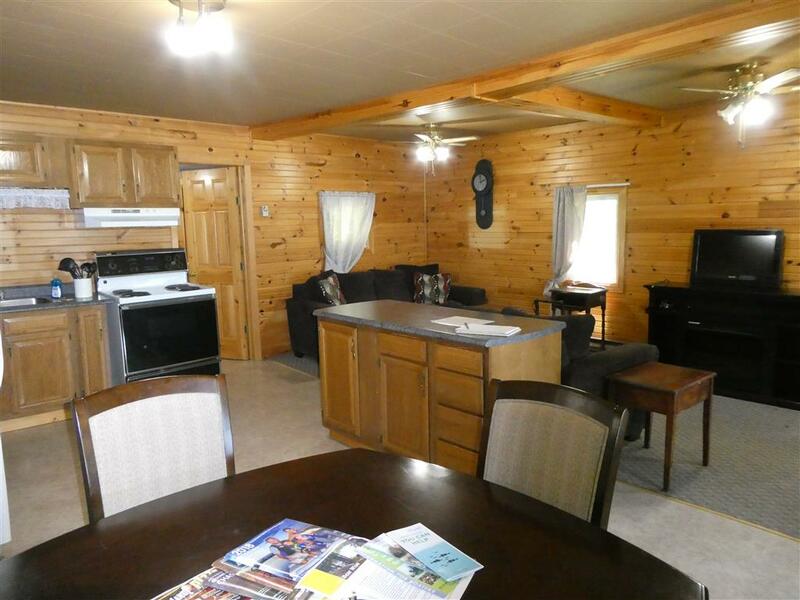 Additional propane and fire wood are available at an extra charge. 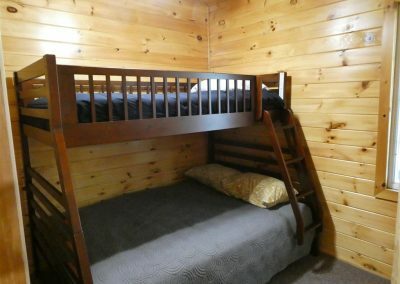 There are single cots available to rent for extra sleeping space. 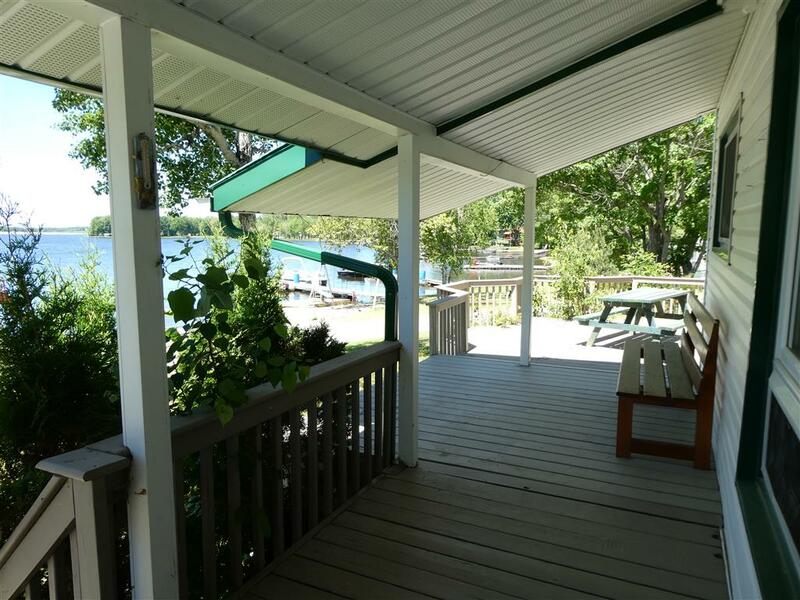 All cottages have use of the launch ramp. 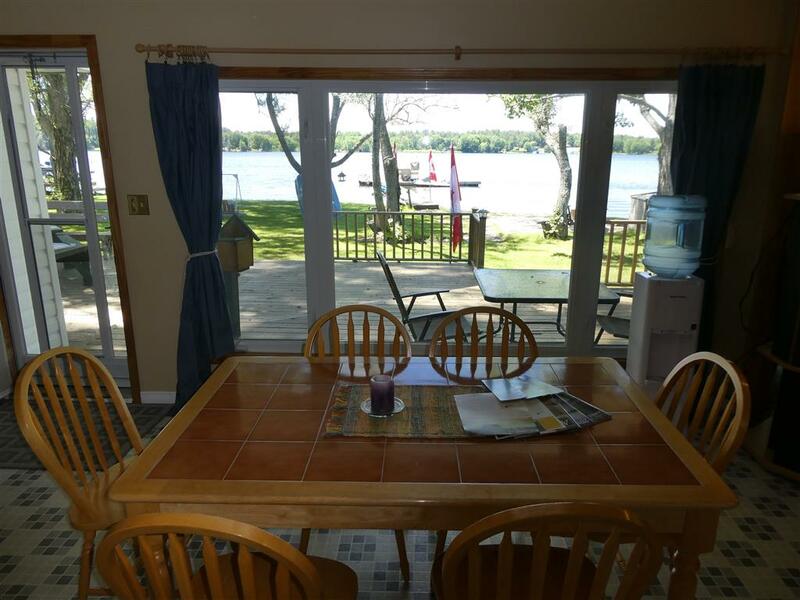 Docking fees of $10/day or $50/week for boats. 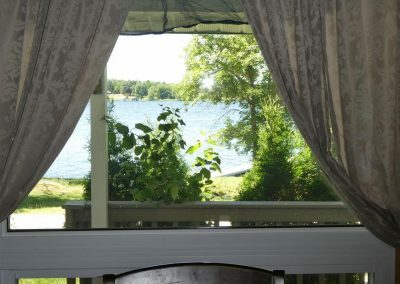 Special rates for Cottage and Boat combination. 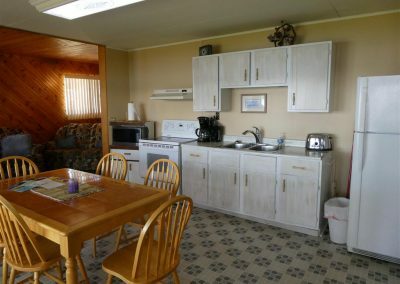 There is a fish cleaning hut supplied with all utensils. 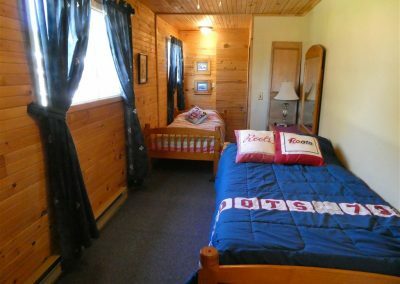 Worms are available for purchase. 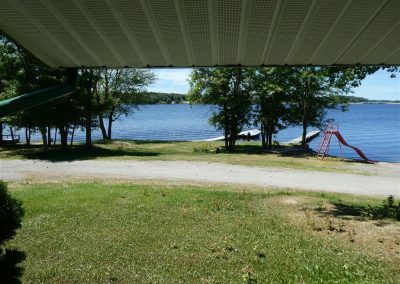 Fishing off the docks is permitted. 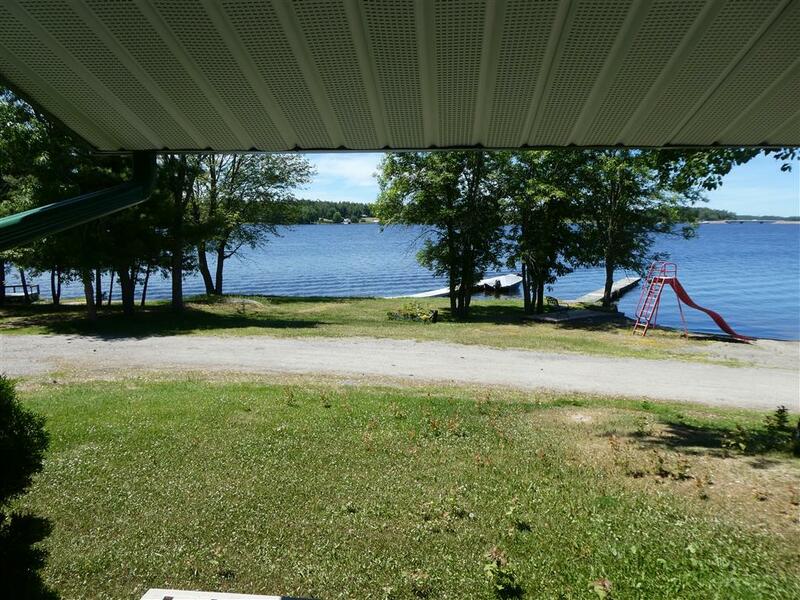 There is a beach area available for swimming with a floating dock with slide. 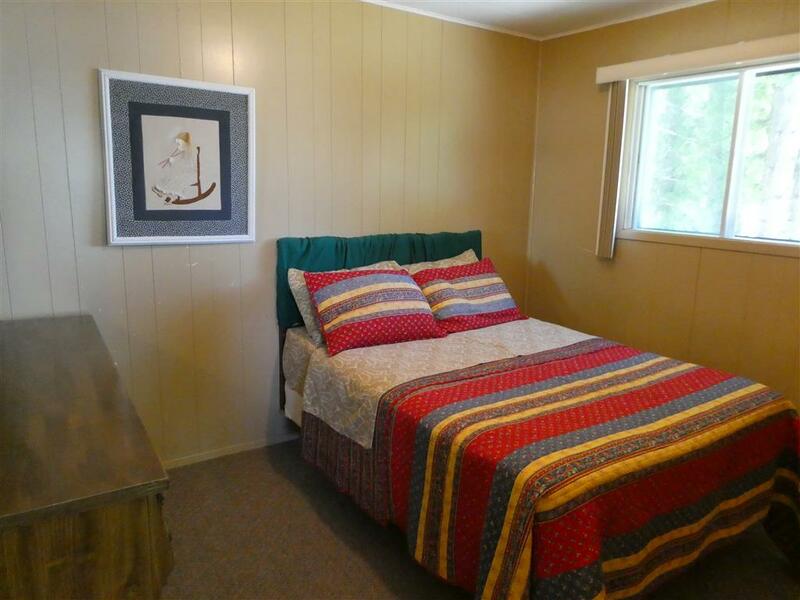 There is a swing set and slide on the beach. 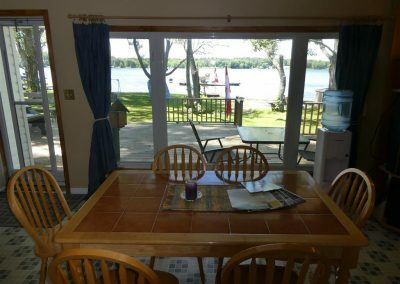 There is a sand bar on an island 10 minutes away by boat for swimming and picnic. 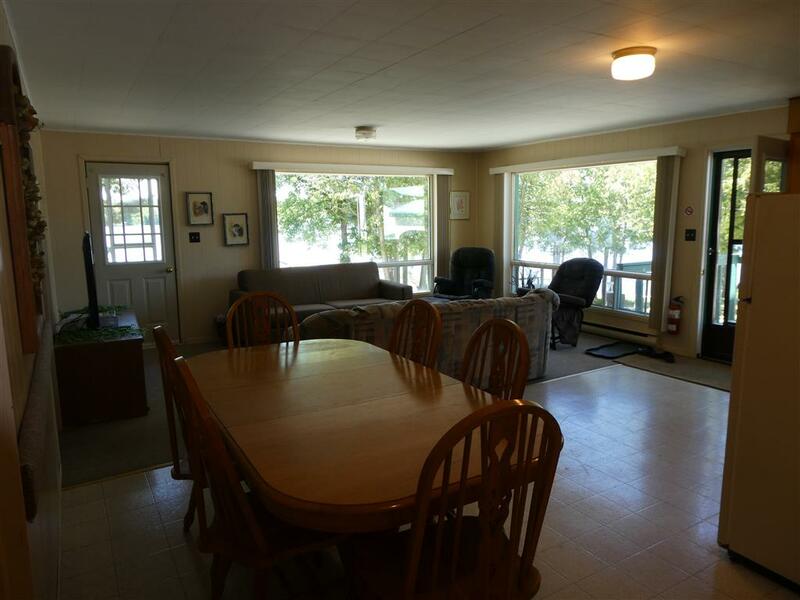 We have a variety of games for the kids and adults to play including horseshoes. 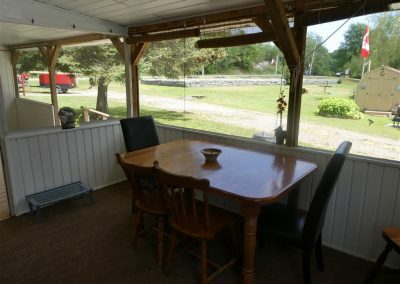 We have rentals for fishing boats – Lund 16 ft – 25, 30 and 40 HP. 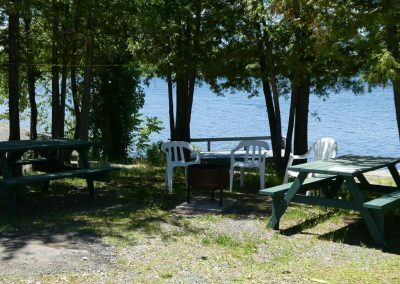 We also have canoes, kayaks, paddleboat & 3 seater tube for rent. 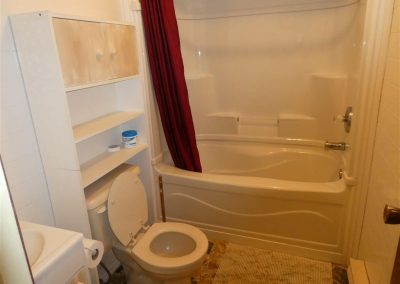 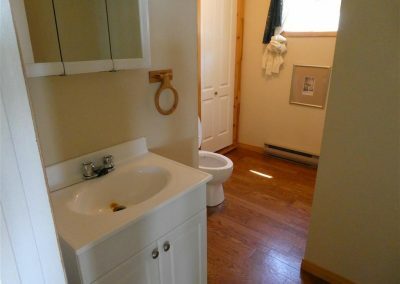 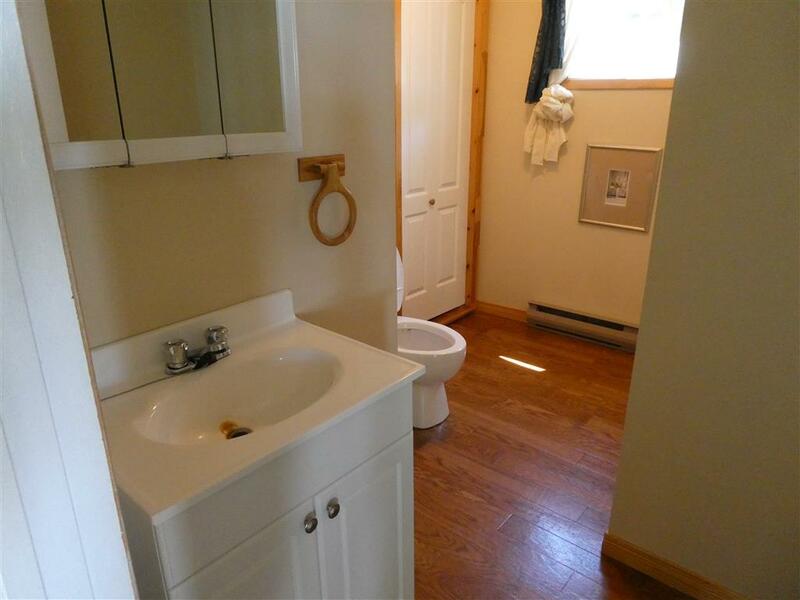 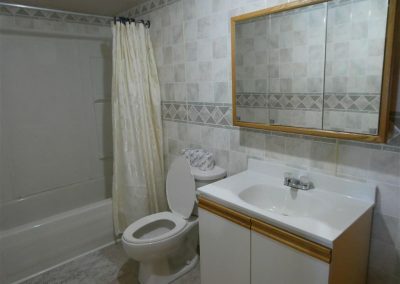 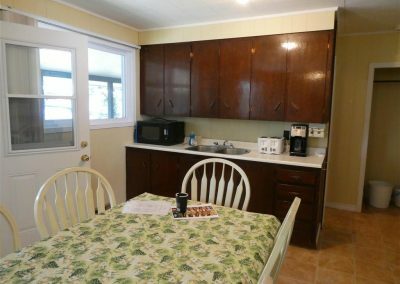 2 bedroom cottage with 3 piece bathroom, kitchen and living room. 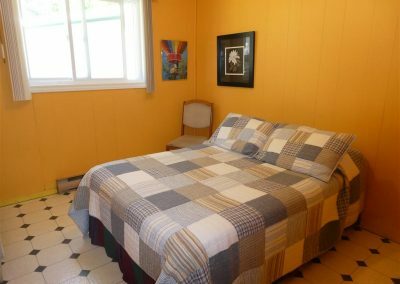 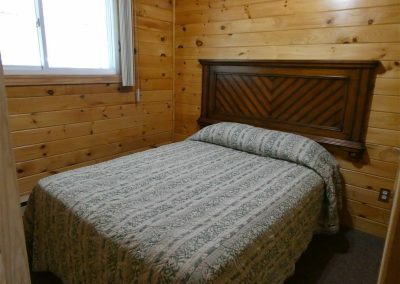 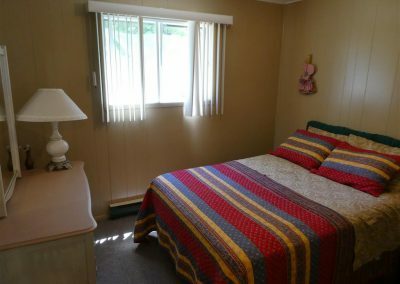 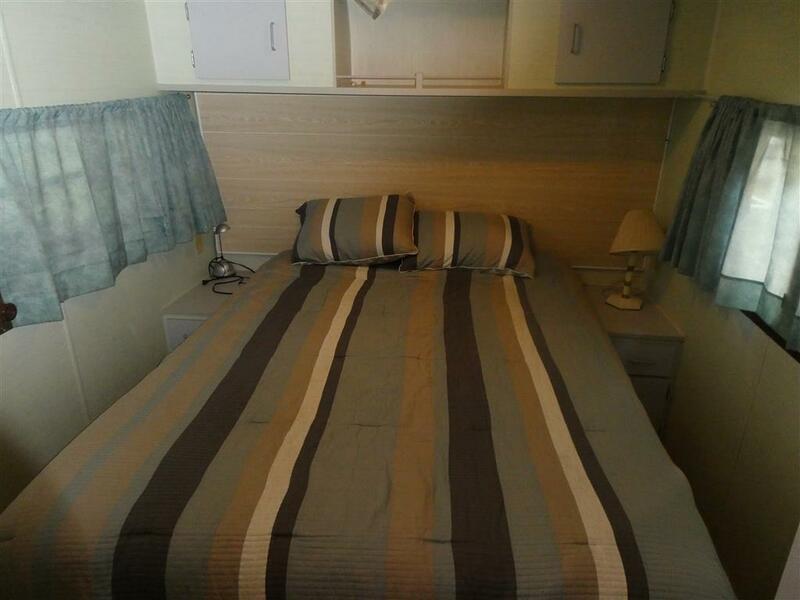 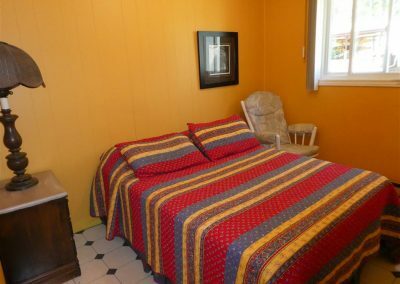 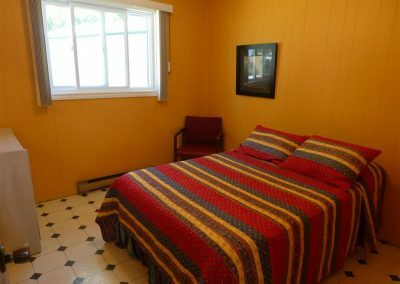 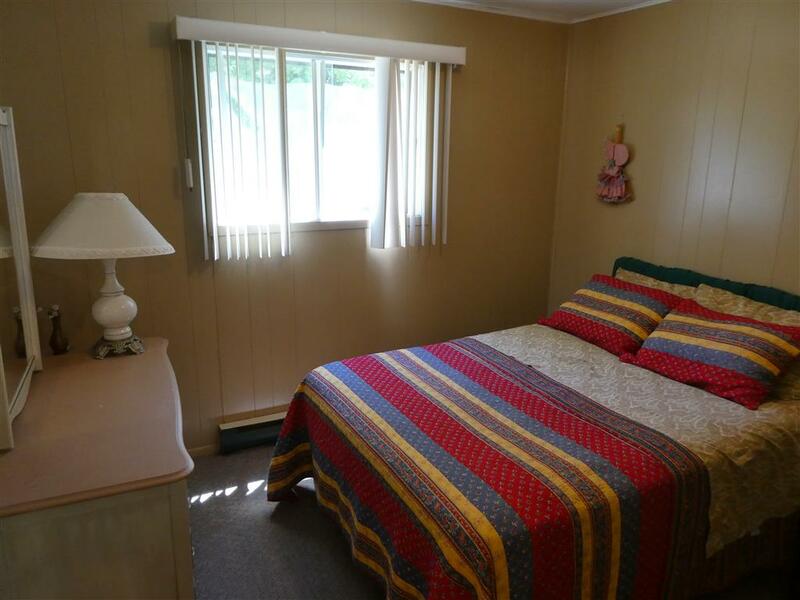 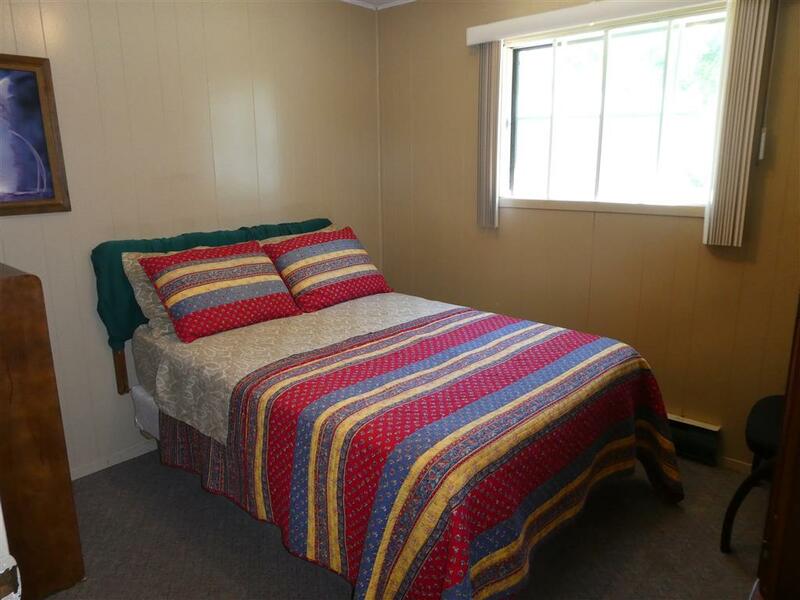 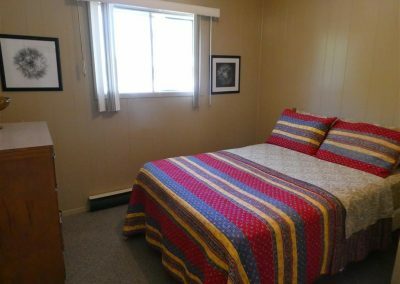 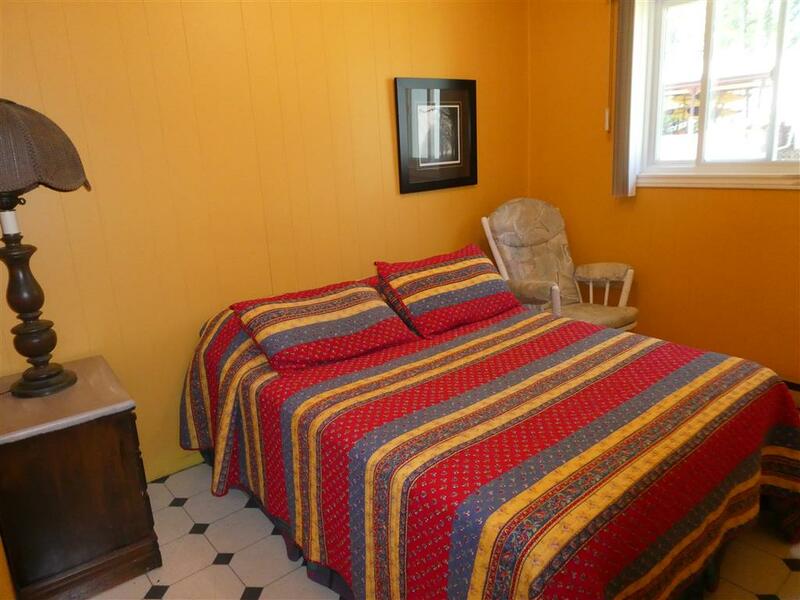 1st bedroom has 1 double bed with a dresser. 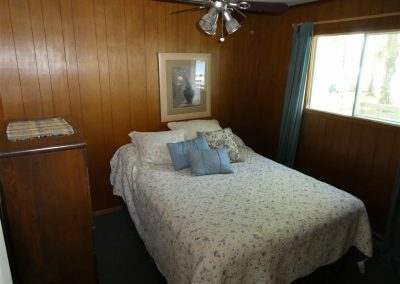 The 2nd bedroom has 2 single beds with 2 dresser. The living room has 1 pullout couch for extra sleeping space and a loveseat. There is also a T.V. 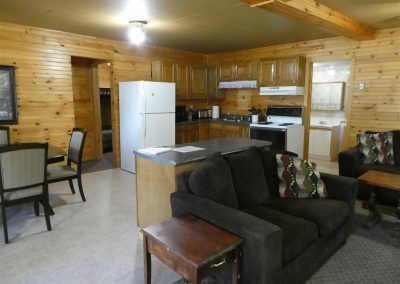 with satellite and wireless internet. 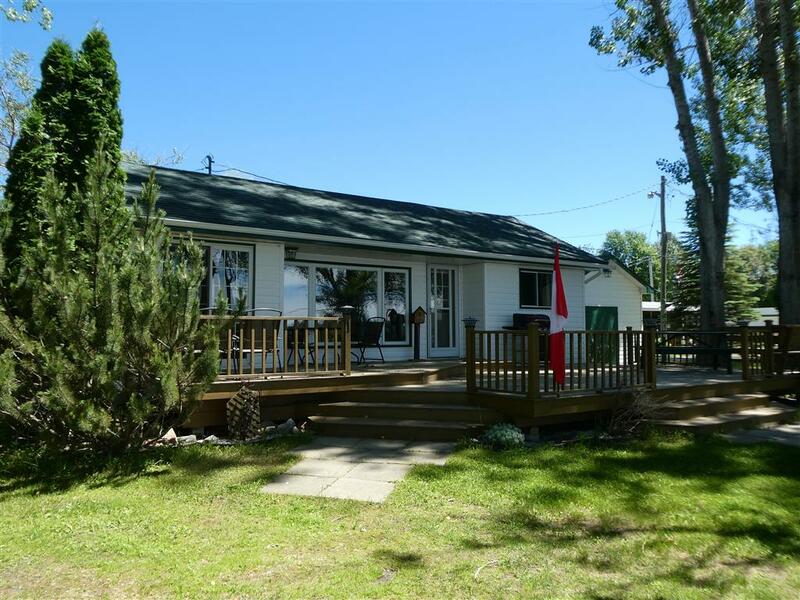 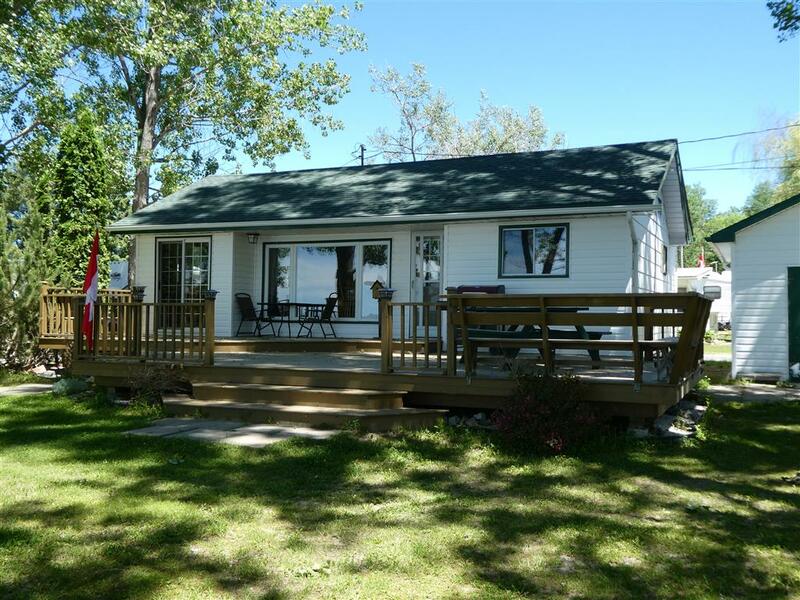 There is also a large deck in front with a spectacular view of the lake. 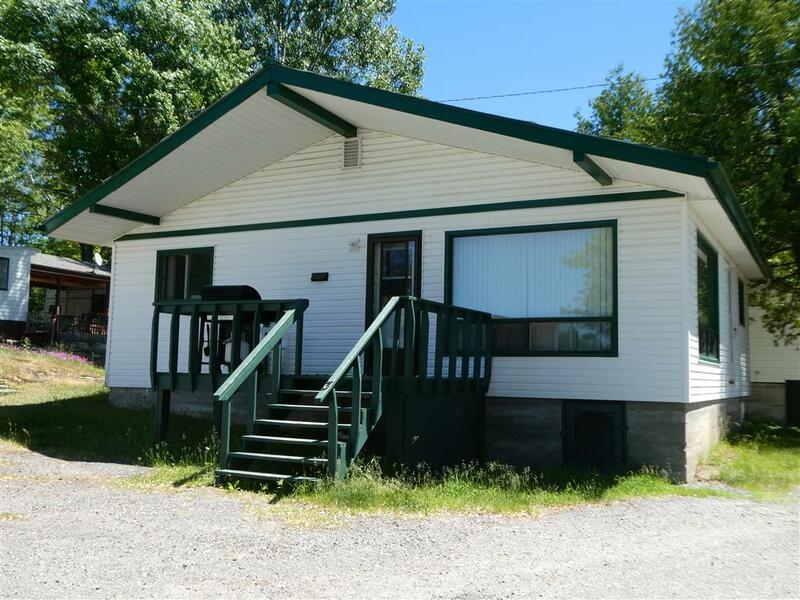 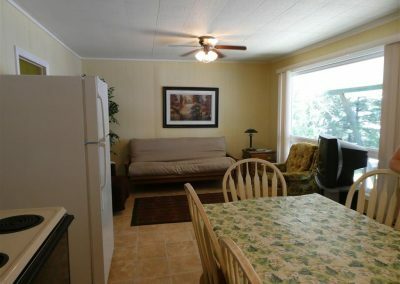 2 bedroom cottage with 3 piece bathroom, kitchen, living room, dining room. 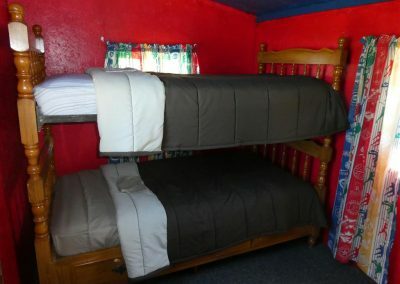 1st bedroom has a double bed with storage closet, 2nd bedroom has a double bed and a single bed (bunk beds) and storage closets. 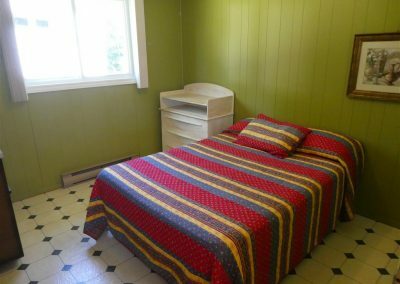 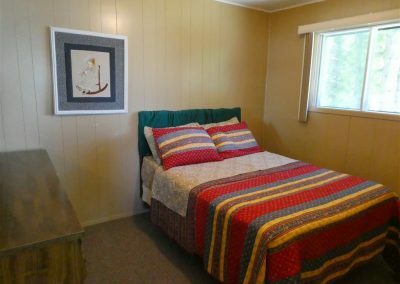 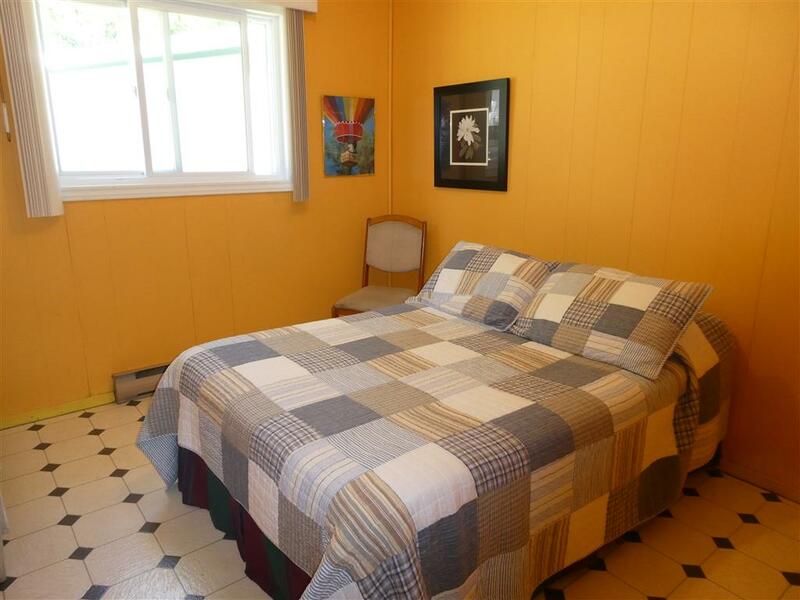 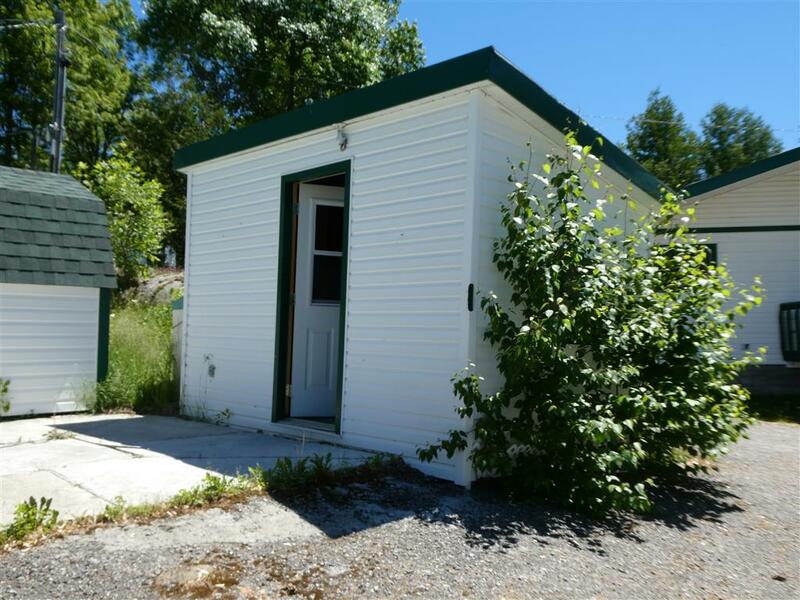 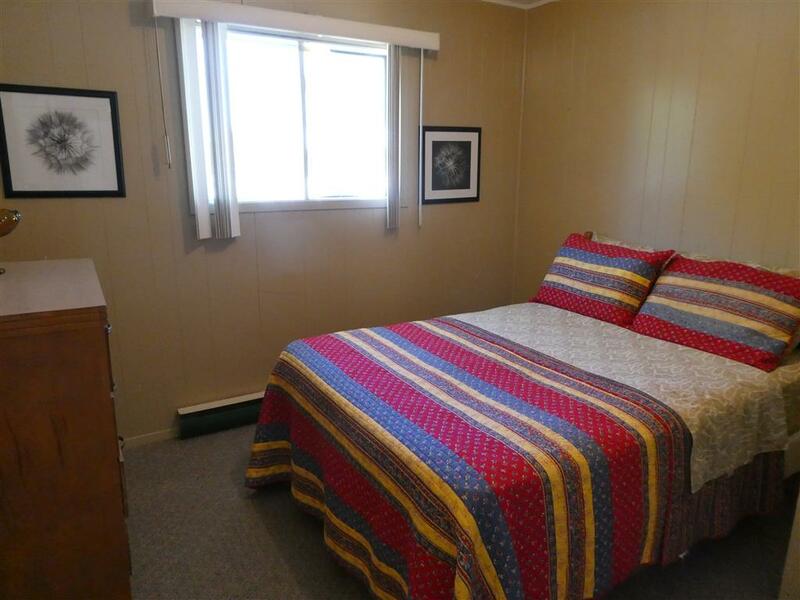 There is also a Bunkie available with 2 bunk beds at an additional charge. 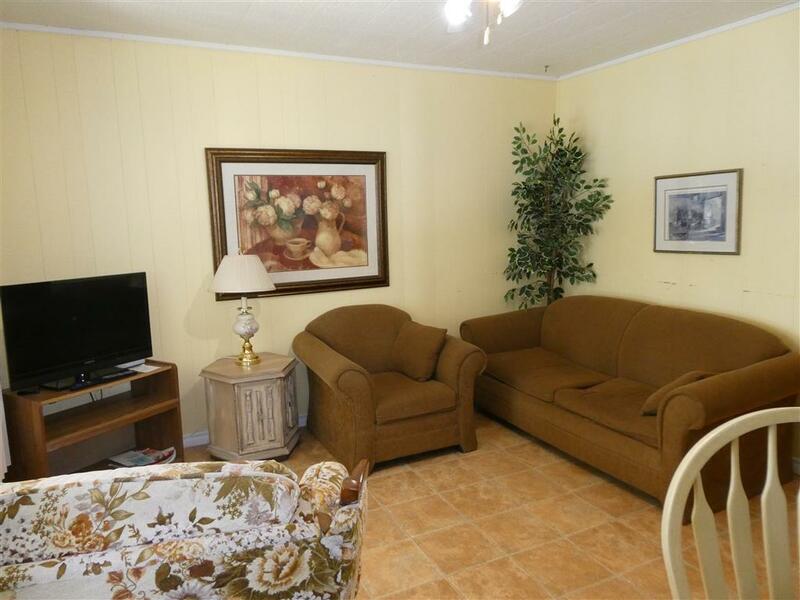 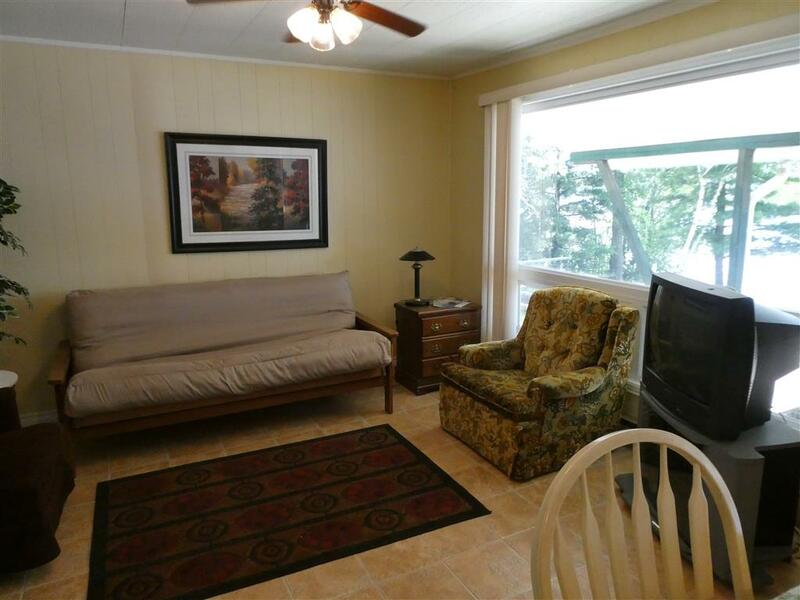 The living room has a couch and a love seat with a T.V. 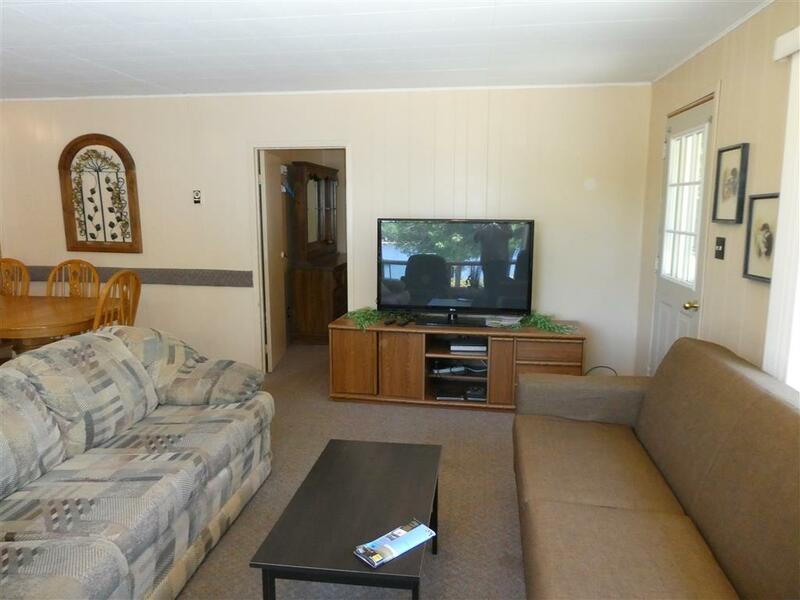 with a Roku box and wireless internet. 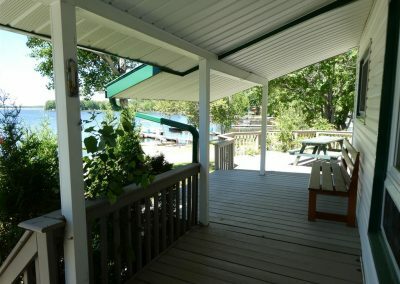 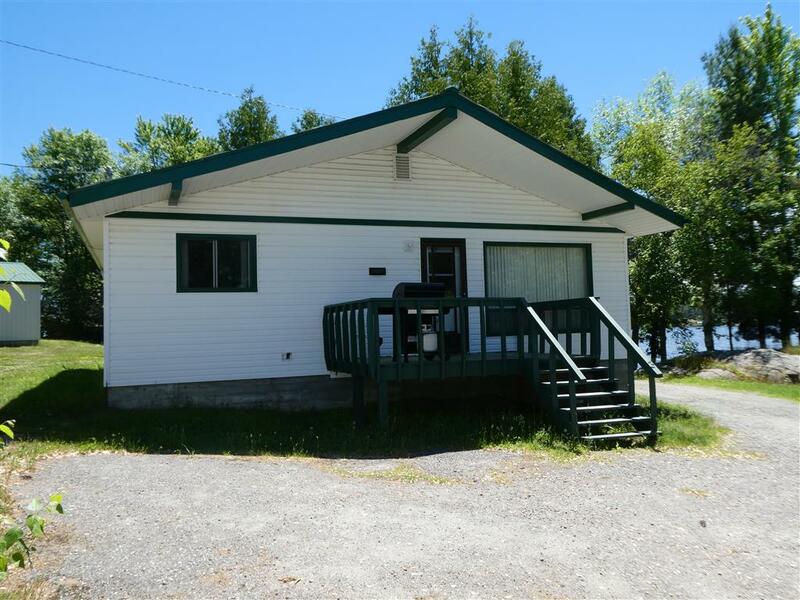 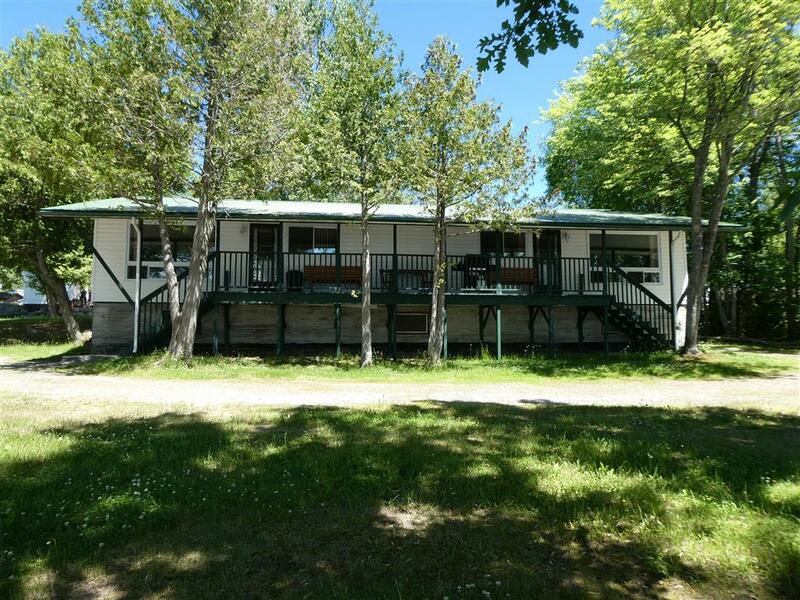 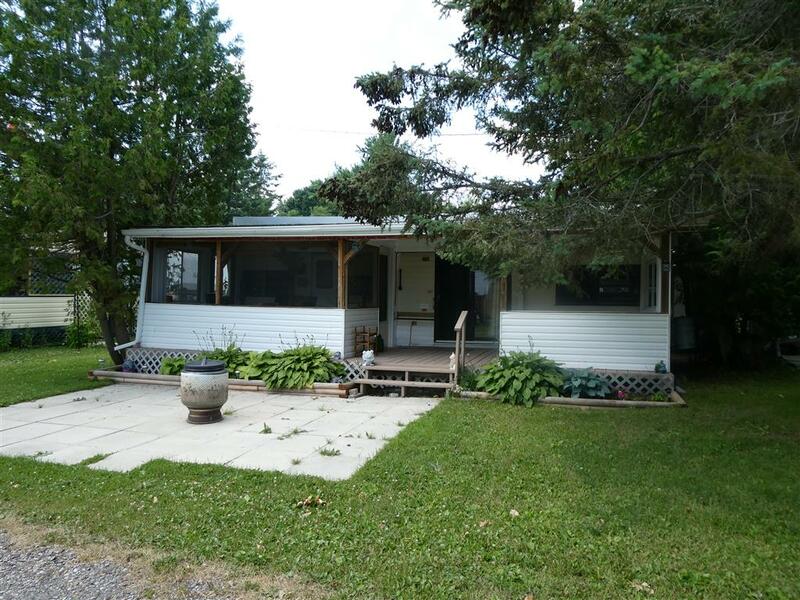 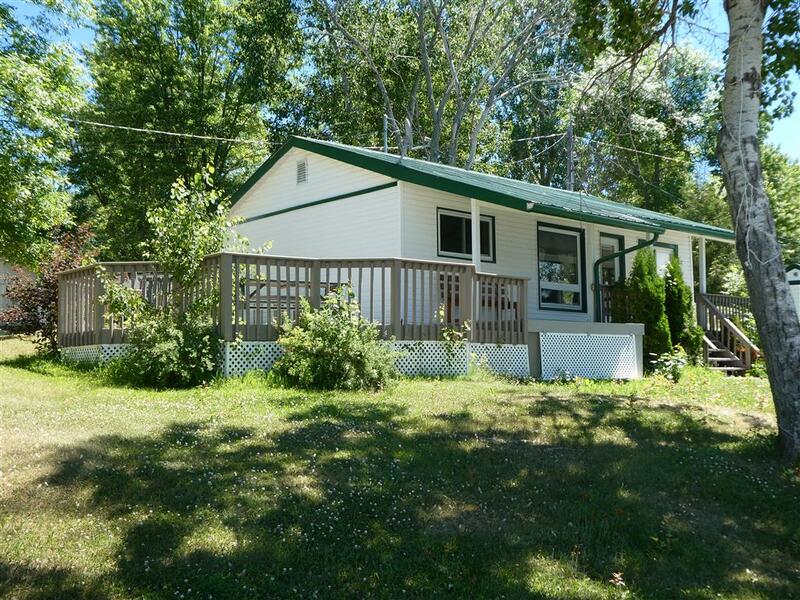 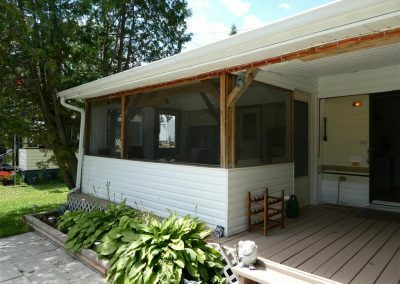 Plus a large deck with a spectacular view of the lake. 4 bedroom cottage with 3 piece bathroom, kitchen, living room and dining area. Each bedroom has a double bed with dressers. 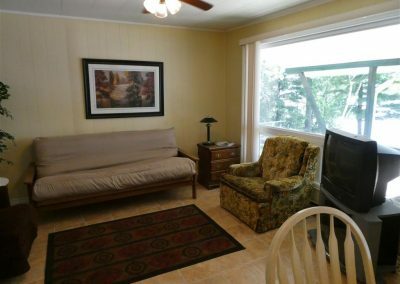 The living room has 2 couches and 2 lounge chairs with a T.V. 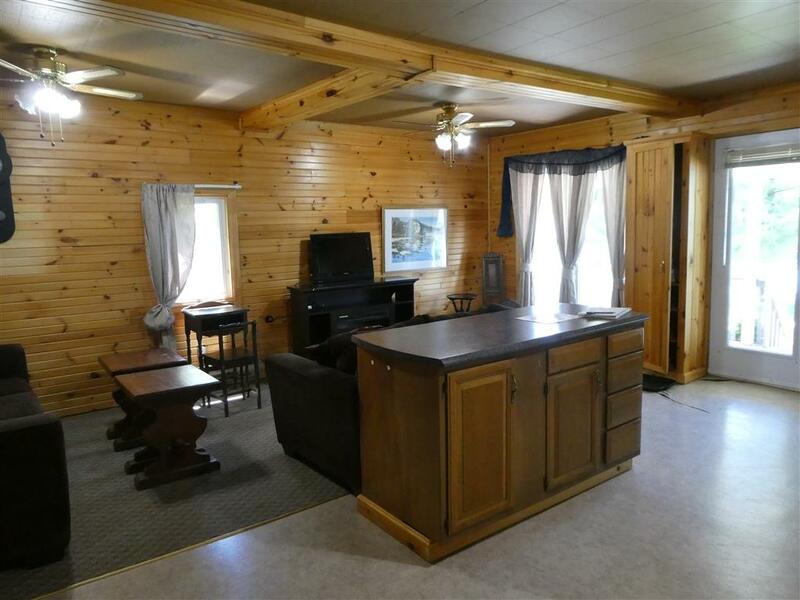 and Roku box and wireless internet. 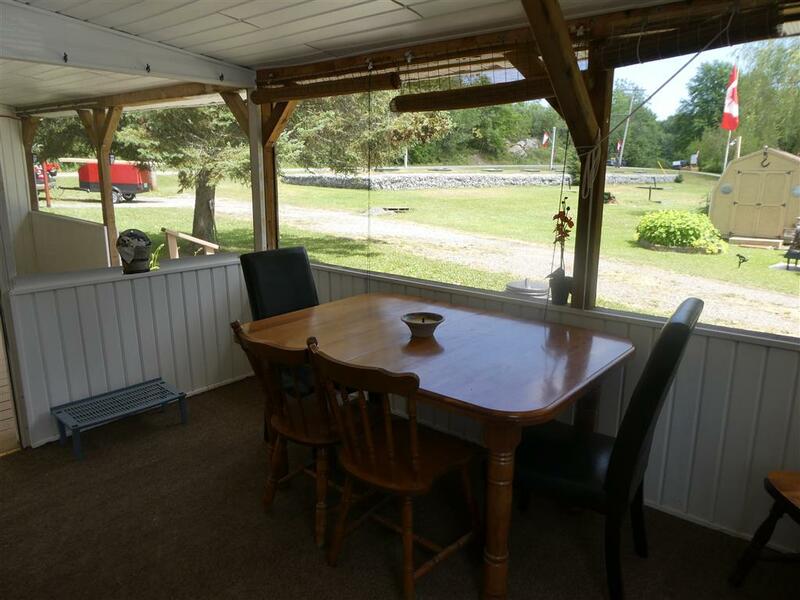 There is also a deck with a view of the lake. 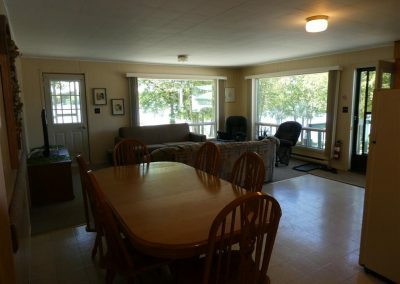 Located on the lake. 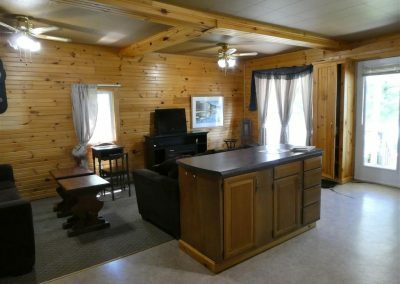 Secluded from the other cottages. 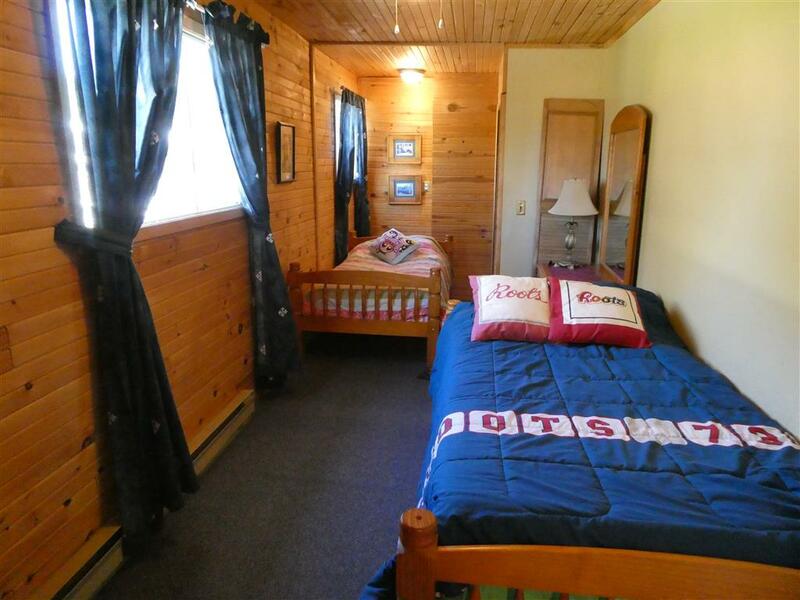 Each cottage has 3 bedrooms, 3 piece bathroom, dining area, living room. 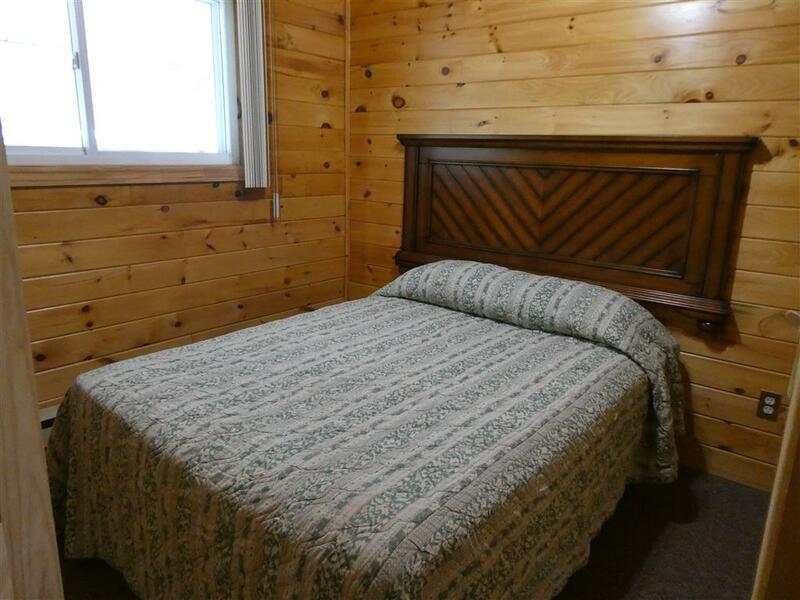 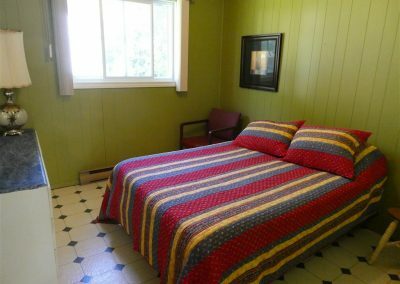 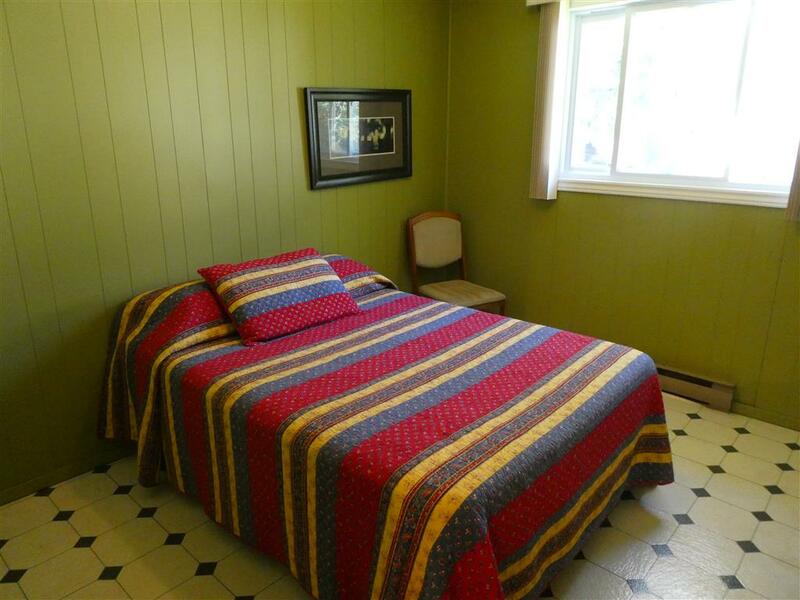 Each cottage bedrooms have a double bed with dressers. 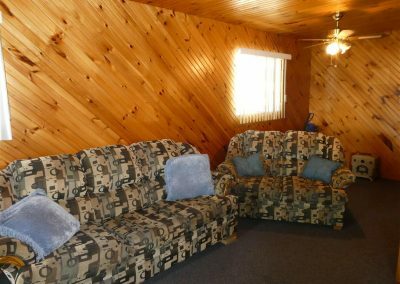 Each cottage living rooms have a pullout couch for extra sleeping space. 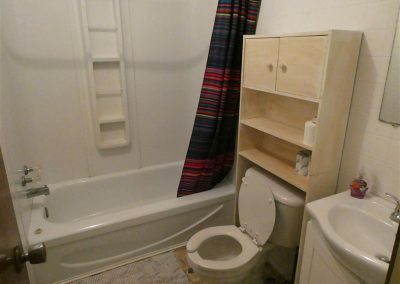 And 2 chairs. 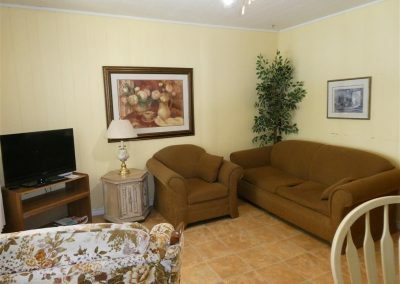 Also T.V.’s with Roku boxes and wireless internet. 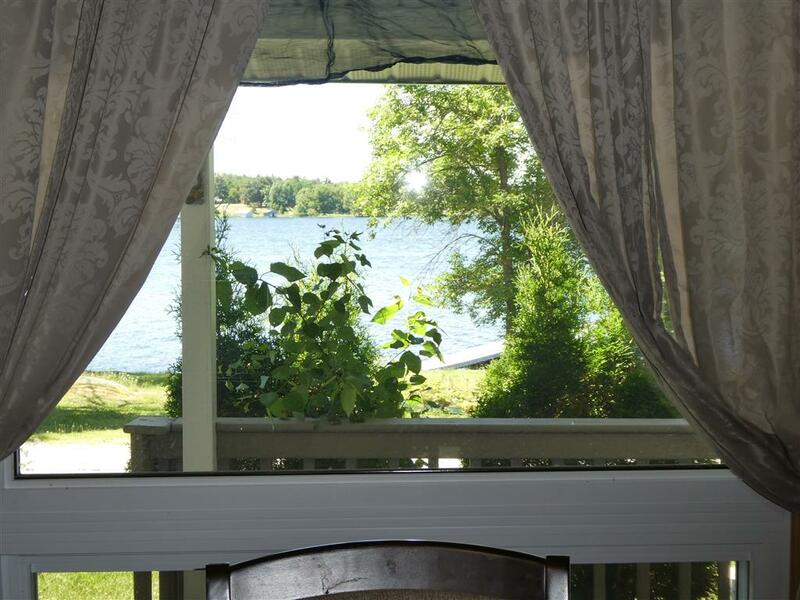 There is a private dock for these cottages as well as a spectacular view of the lake. 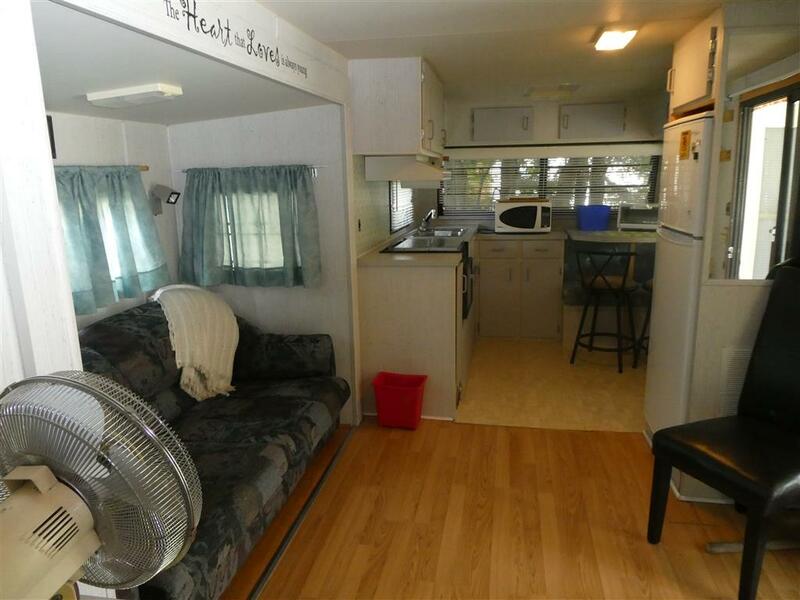 The trailer is a 1 bedroom trailer plus a pull out love seat. 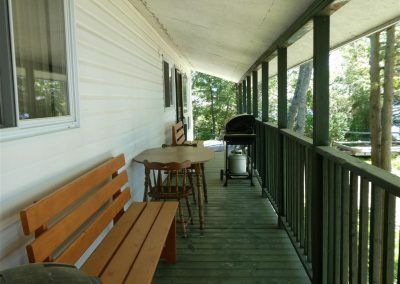 Front deck with screened in porch. 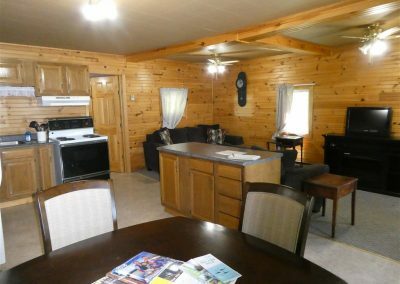 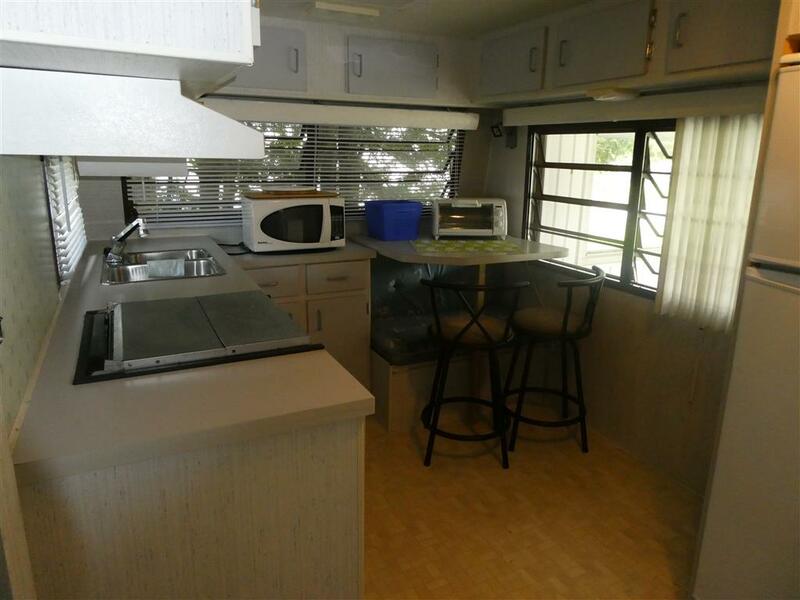 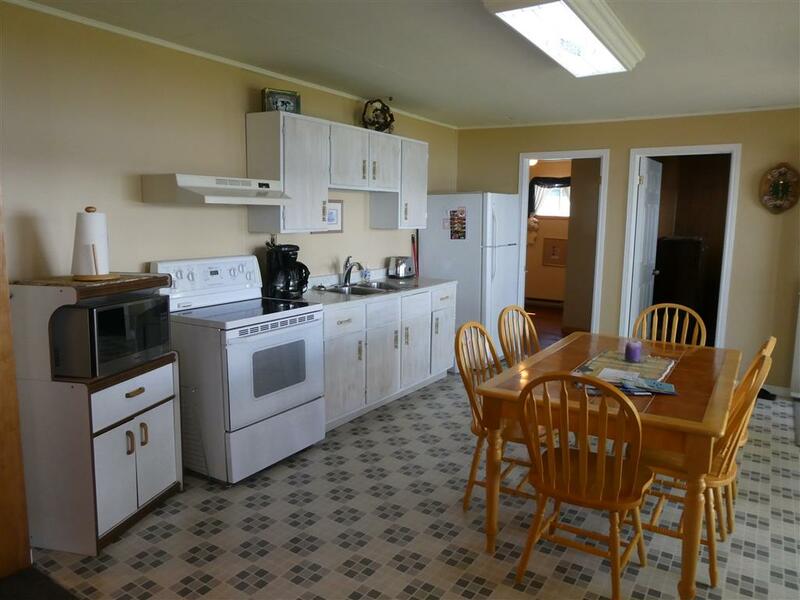 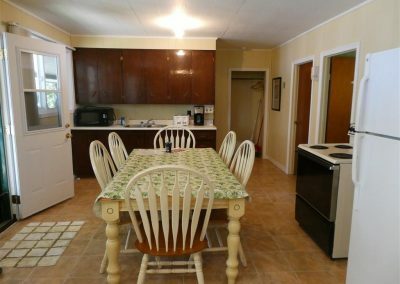 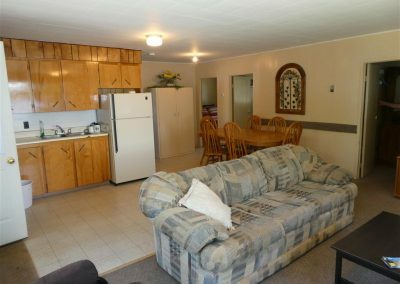 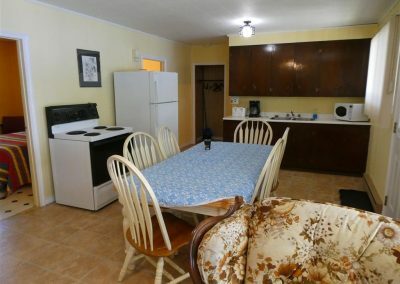 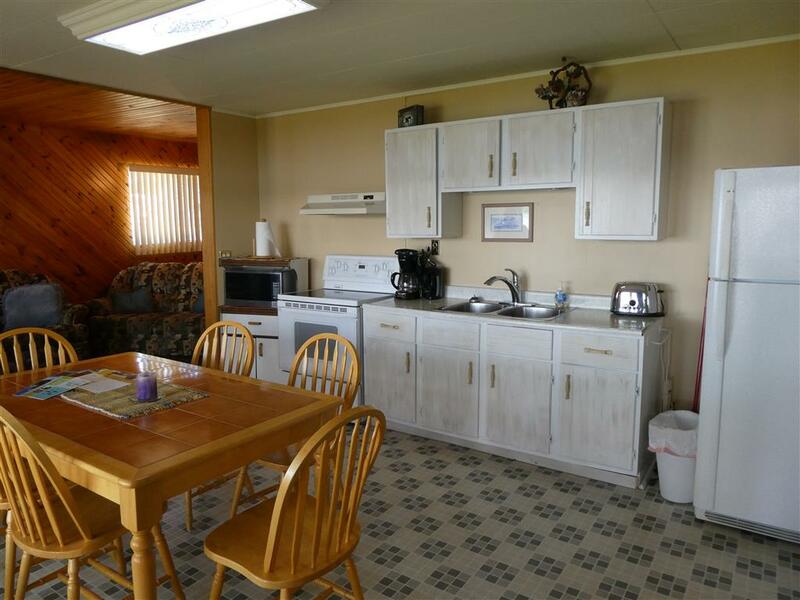 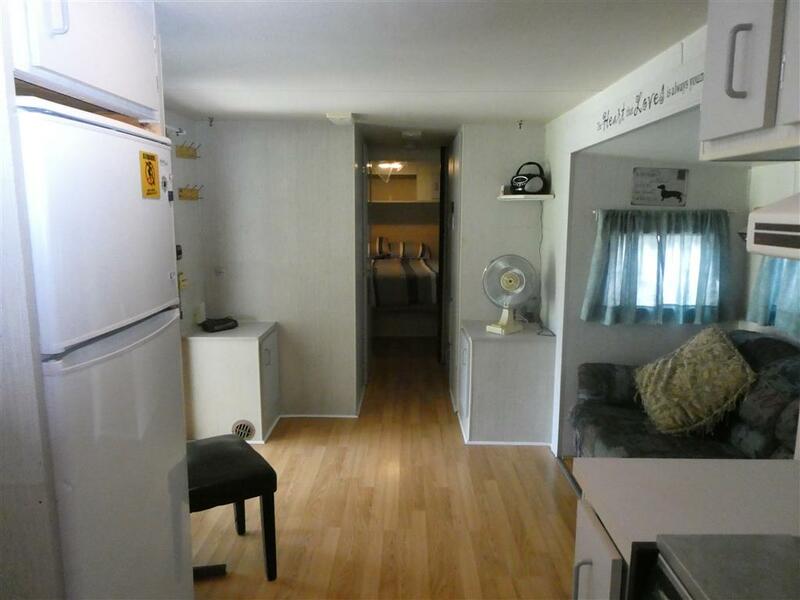 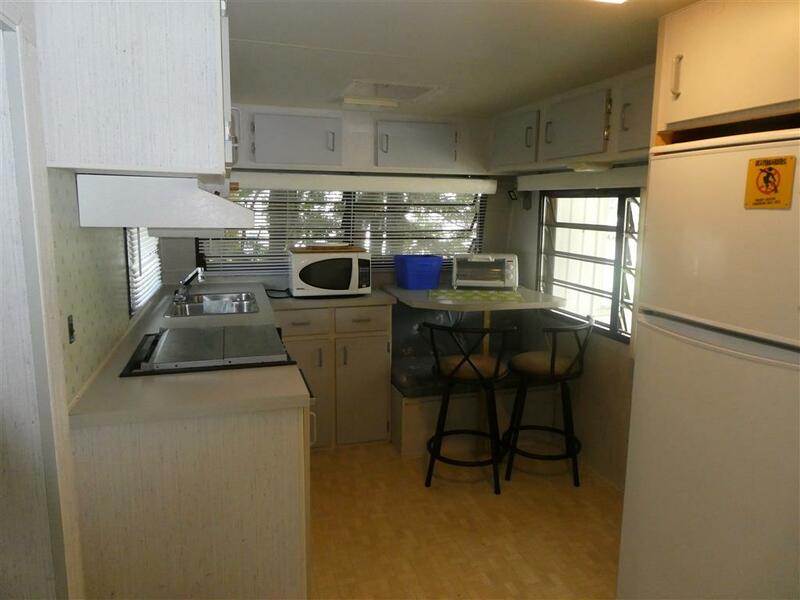 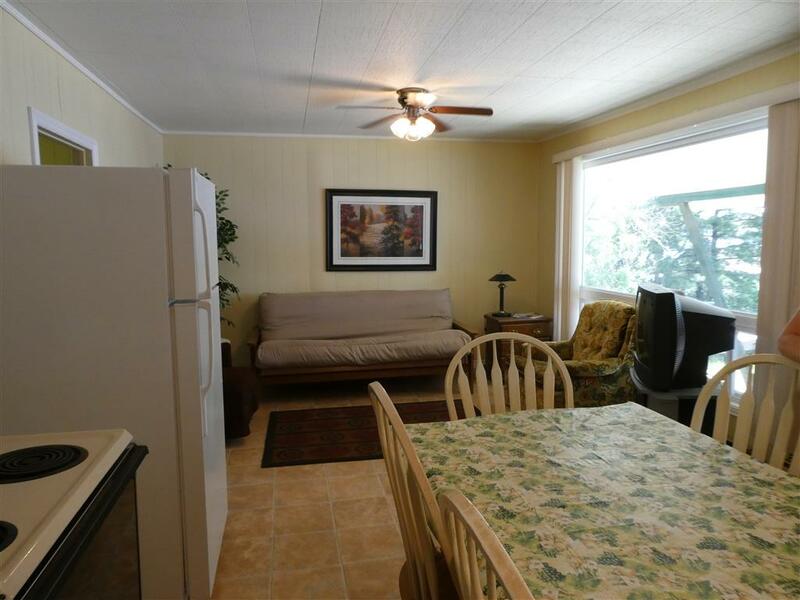 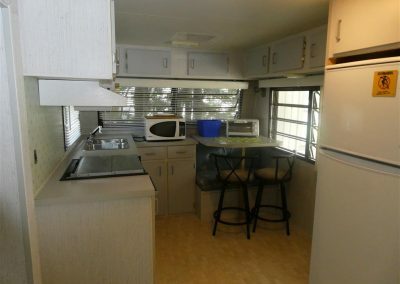 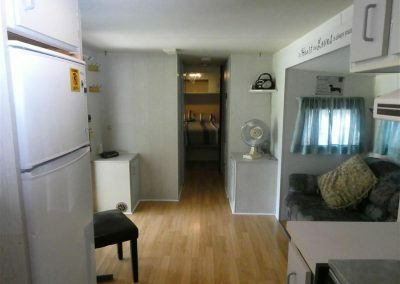 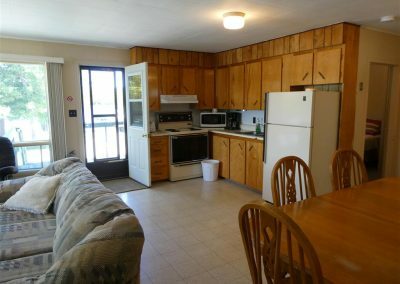 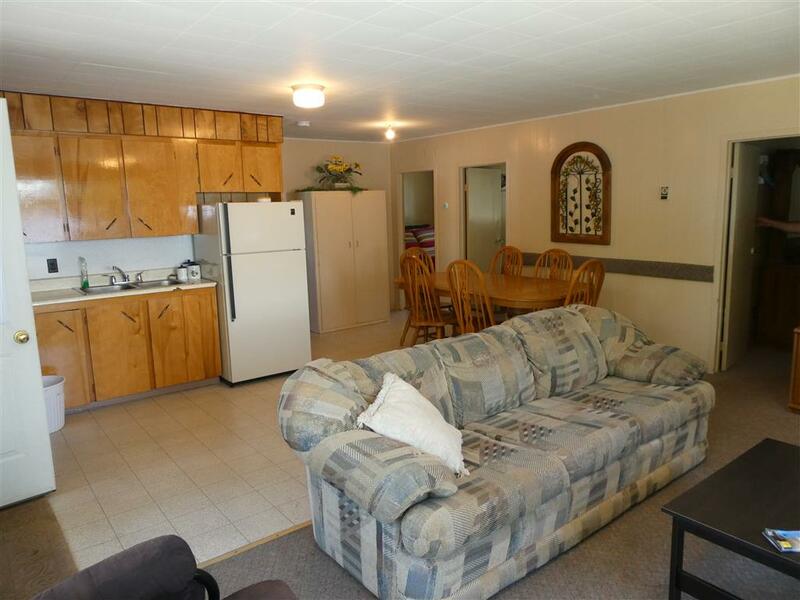 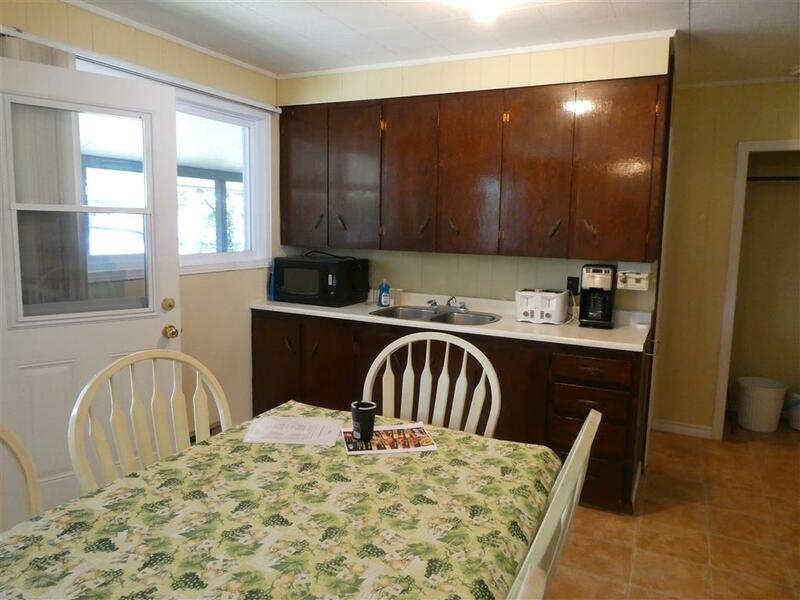 Kitchen with fridge, stove, microwave, coffee pot, toaster and fully stocked dishes. 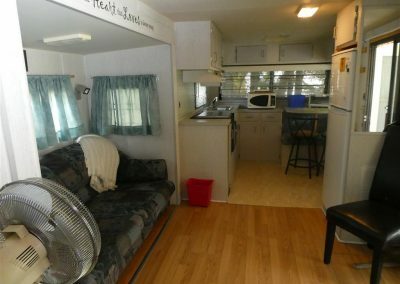 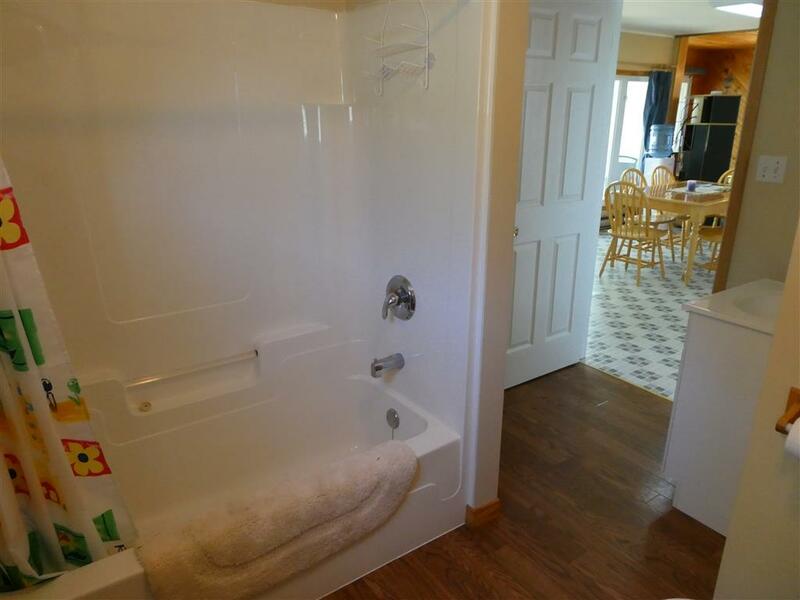 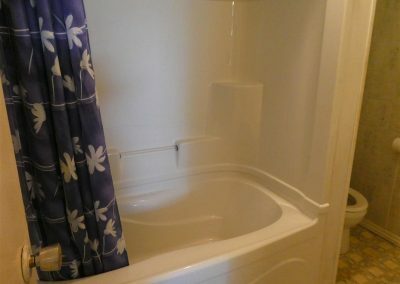 Shower house behind trailer. T.V. 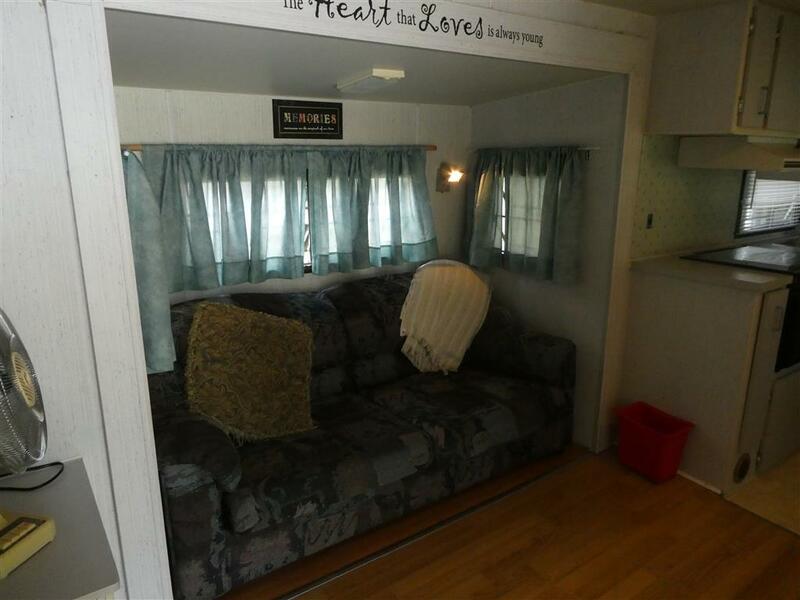 with DVD player and movies. 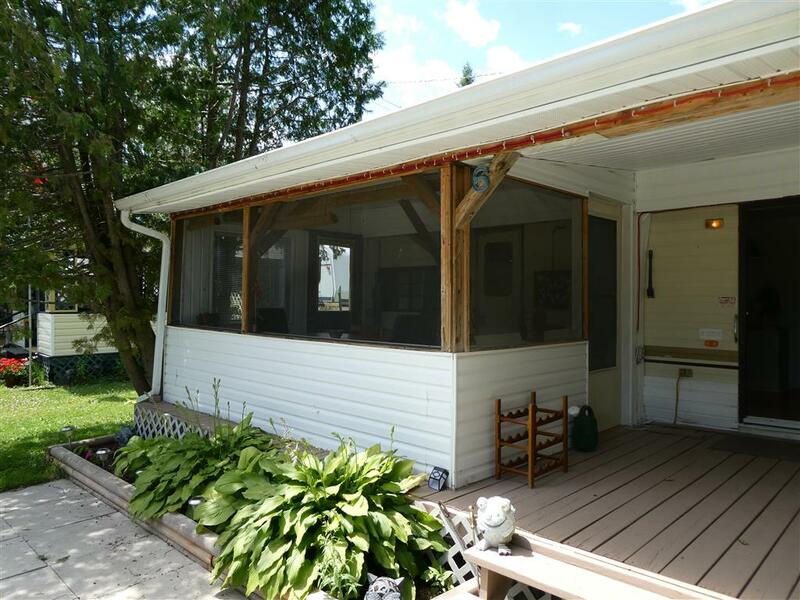 Fire pit in front.